One person can make a difference. 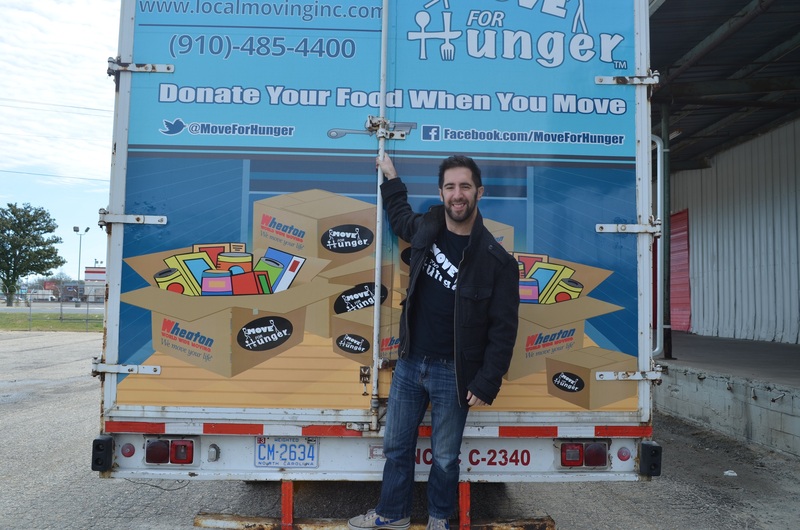 Adam Lowy, Founder and Executive Director of Move for Hunger, changed the moving industry with a question that sparked a movement to end hunger. Adam and his family asked their moving clients, “Would you like us to donate your unwanted food for you instead of throwing it away?” The answer was a resounding “Yes!” and the result was Move for Hunger. Since Lowy founded Move for Hunger in 2009, the organization has donated almost eight million pounds of food to local food banks. Move for Hunger makes it easy for everyone who is moving to help end hunger. Thirty-six million people move every year in the United States. Think of what a difference 36 million people can make. How did you come up with the idea to start Move for Hunger? My family has been in the moving business for over 90 years. We saw so much waste happening when people moved – food and clothing and furniture. It was the food that really bothered us. People would leave it in their pantries or throw it in the trash. It was a question that came up with our crews or estimators: “What should we do with all of this food in the kitchen?” A lot of times the answer was, unfortunately, throw it away or give it to a neighbor or try to eat as much of it as possible. It wasn’t really a solution. So, we started asking people if they wanted to donate it. In a month, from asking a question, we collected 300 pounds of food. We brought that food to our local food bank. I ended up quitting my job to found Move for Hunger with the idea that if one small moving company could do this by asking a question, think of the thousands of movers out there. Let’s give them a purpose. That’s how Move for Hunger started. How can I participate in Move For Hunger? Go to our website and click on Find a Mover. Put in your zip code and all the moving companies in your community that participate will pop up. We’ve provided all of these companies with educational materials so that when they’re doing the estimate, they’ll let you know that they participate with Move for Hunger. The movers will provide either a box with the Move for Hunger logo on it or they’ll give you a sticker to put on that box. 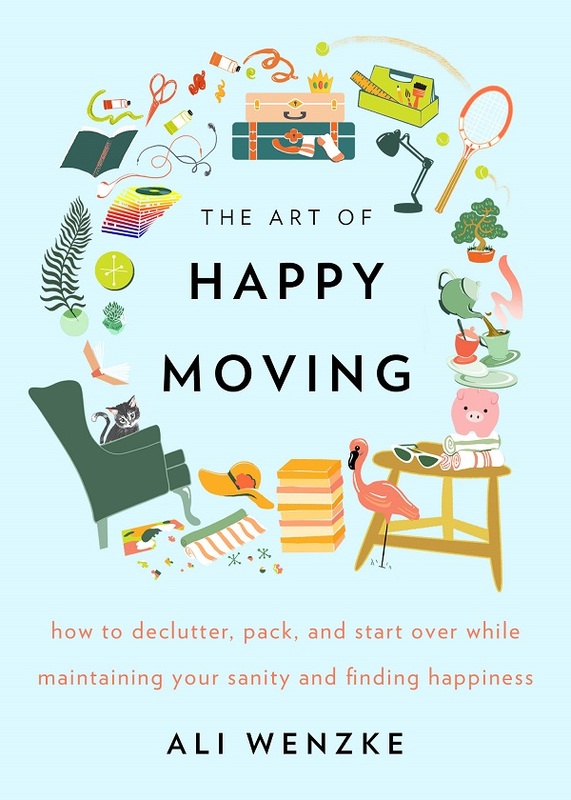 So, you can put your items aside and either you will pack it up or the mover will pack it up. We don’t take anything perishable or opened. We ask specifically for unopened, non-perishable food items. We ask for things that are really shelf stable like canned tuna fish and sauces and canned vegetables and soup and all those things that are good for people. What if I don’t have that much food to donate? Even if you don’t have a ton of food, maybe you just want to donate a couple cans because it feels good. Our moving partners are giving people the opportunity to do something good for free. 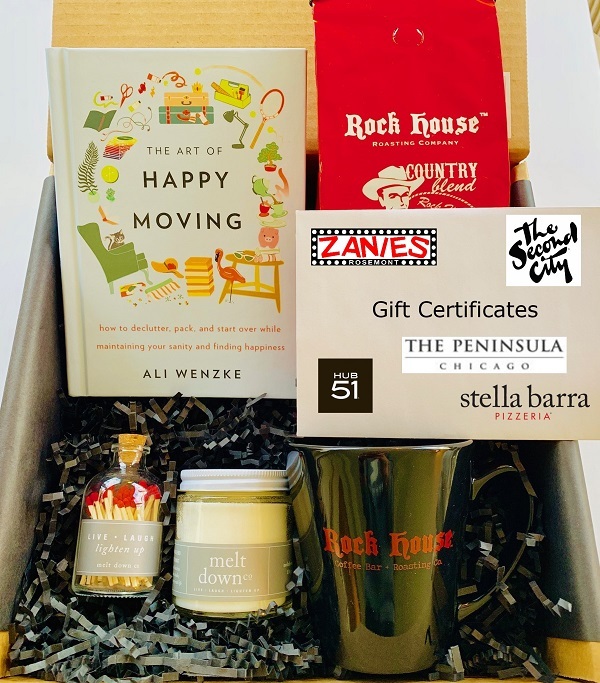 The idea is that if you can go into your moving experience already knowing about Move for Hunger, then you’re going to be more likely to put those items aside. When does the moving company pick up the unopened, non-perishable food items? On moving day when they’re packing everything up, that’s when they’ll pick up the food because they are there in the home. The whole idea behind it is to create zero extra work so that people will want to participate on both ends. Does it cost extra to participate in Move for Hunger? Absolutely not. It’s free for you. Tell me about the moving companies. All of our movers are vetted. We check them. They have to be BBB accredited or part of a van line or a moving association. We do say “no” to a number of moving companies. That way we’re not promoting lousy moving partners. The moving companies will pick up any of your non-perishable food free of charge since they’re in the home. They’ll bring it back to their office. Once a month they bring it to a local food bank in their community. So, food generally stays local. In doing so, on top of the food drives that we organize, we’ve delivered almost 8 million pounds of food to food banks. What about people who don’t have movers? What can they do? Just be conscious. Be conscious of the fact that you have food to be able to donate. Don’t throw it away and bring it to your local food pantry. If you have questions about where to donate food, you are always welcome to give us a call or shoot us an email. We’re happy to provide you with the nearest food pantry. What does the future hold for Move for Hunger? We realize that DIY moves are 74% of the moves that occur in this country, so we are trying to put together a program there. We’re launching a new program with apartment communities. We’ve been piloting in Seattle and San Francisco right now and we’re about to expand in those two cities in a big way. What will happen is that when you’re getting ready to move out, we’re partnered with the community who will provide you with a free food collection bag and a letter outlining the most commonly needed items and what the local hunger statistic is so we can educate some people about the need. You drop off the food at your leasing office because you have to drop off your paperwork anyways or you leave it right in the unit. We will send one of our partners to come pick it up and bring it to local pantries. We did this for three months with ten different apartment communities in Seattle and we collected about 800 pounds of food from maybe forty people. We know that the need is there and we’re really excited to begin scaling this into other cities. We’ll start with the Pacific Northwest, but we see great opportunity in seeing this grow nationally. It’s really impressive what you’ve been doing. Thank you, Adam. We’re just trying to get the word out. We’re excited about it. Thank you so much. Find a socially conscious mover through Find a Mover. Set aside unopened, non-perishable food items for the movers. If you’re a realtor, learn more about the Real Estate Program. Get involved with Move for Hunger. Set up a food drive at your school. This year I helped out with my children’s food drive at school. Kids brought in gallons of apple juice and canned goods for a local food pantry. With other parents, I helped take these heavy items from the classrooms and pack them into a mom’s car so we could deliver them to the food bank. Move for Hunger makes it so much easier. They will provide you with Move for Hunger boxes. After the food drive, they will pick up the boxes and deliver them to the food pantry. Lowy has really thought of everything to make helping others as easy as possible. Help end hunger. Donate your food when you move with Move for Hunger.